The United States is blessed with miles and miles of seashore on the Atlantic, the Pacific, and the Gulf of Mexico. With all this shoreline comes many, many wonderful beaches. Some are great for surfing, some are rocky and rugged, and some are calm and peaceful. If you're going on a beach vacation with kids, you want a beach that's suitable for families and children. Below are ten of the best beaches in the U.S. for families, in no particular order. If you find one that piques your interest, search online for package deals and discounts on lodging, along with all-inclusive packages. For several of these locales, you can also find discount coupons for dining and entertainment with a quick online search. Lexi and Madison on a Florida gulf beach. This is another one of those beautiful gulf beaches with white sand and blue-green water. In this typical beach town, families can enjoy fishing, shelling, snorkeling, riding go-carts, hot air ballooning, miniature golf, bumper boats, and riding the Sky Coaster. You can also visit a fort, ride horses, parasail, zip-line, or try out the world’s largest water slide. All the beaches here are great, but one of the best for families is Pavilion Beach at the state park. In addition to white sand, towering dunes, and clear water, you’ll find showers, restrooms, a snack bar, and a shaded area that’s perfect for picnics. For cool nights, there’s a big fireplace on the beach. Lodging choices include hotels, beachfront condos, bed and breakfasts, beach house rentals, and camping. This is one of the “Golden Isles” located just off the coast of Georgia. The beaches here are sandy, and the surf is gentle. Kids will enjoy the water park, miniature golf, and searching for the numerous sand dollars that can easily be found on the beach. Biking is also popular on the island, and a bike path runs along the shore. The small island has lot of wildlife, with a large population of whitetail deer. Drive around the island at night to see herds of them…but drive SLOWLY. Jekyll was once the winter playground of the wealthiest families in America. Today, their opulent "cottages" can be toured by visitors. At Clam Creek Park, there are picnic tables under live oak trees, right next to a tidal creek. There are grassy areas for play, and horses can be rented for a ride along the beach. For kids who enjoy fishing, there’s a covered concrete pier. Lodging choices include private vacation homes, resorts, and hotels. St. Joe is a quiet town on Florida’s Panhandle region. The sand here is dazzling white, and the water is warm and very clear. Because St. Joe Beach is protected by St. Joseph Peninsula across the bay, the surf is gentle, and there’s no undertow. In fact, sometimes the water here looks more like a giant lake instead of like the Gulf of Mexico. This is a great venue for spending quality time with the kids. They won’t be distracted by theme parks, water parks, or even fast-food playgrounds. There are no high rises or traffic jams, either. St. Joseph Bay is nearby and is a favorite spot for snorkeling because of its abundant marine life and its crystal water. Beginning in July, scallop season opens. For some great family fun, rent a pontoon or deck boat for the day and spend it on the water with the family. Fish, swim, relax, snorkel, or net some scallops for dinner. 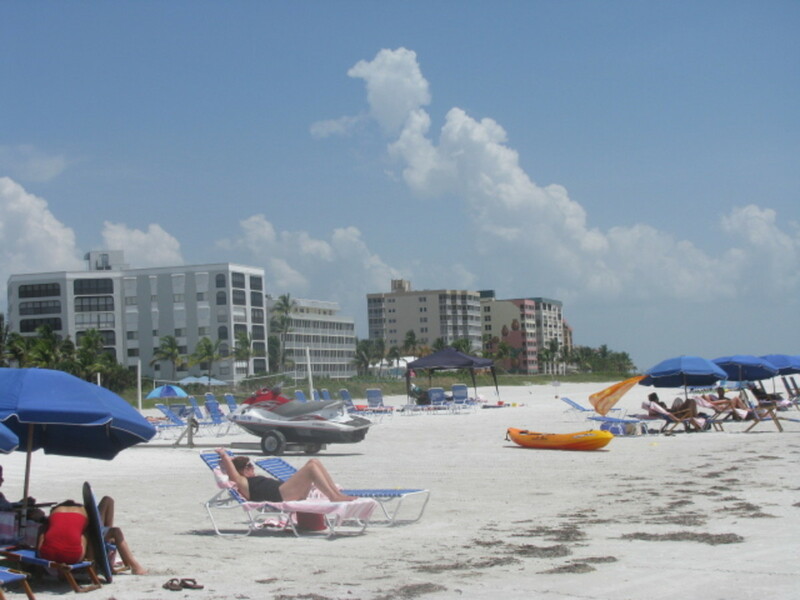 Accommodations at St. Joe Beach and in adjacent Port St. Joe include hotels, motels, condos, and private beach house rentals. I'm a true beach lover, and this is one of my all-time favorites! Anna Maria is a small island in the Gulf of Mexico, just across the bridges from Bradenton and Sarasota. 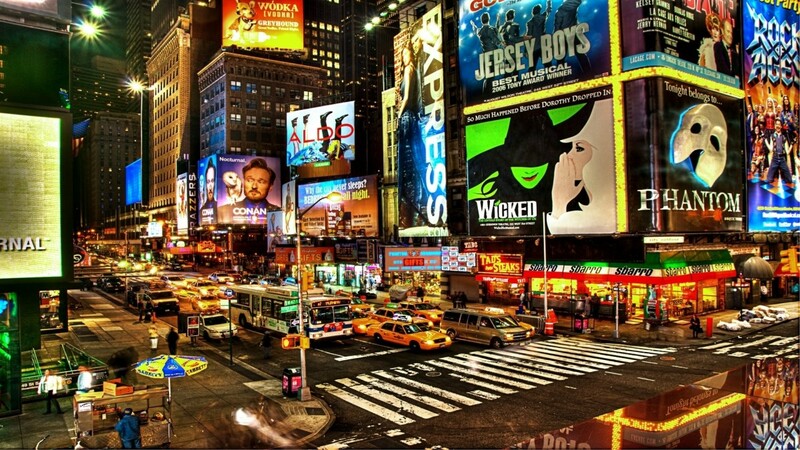 The atmosphere is awesome, with beautiful surroundings and laid-back, friendly people. It has the feeling of a private island. The water here is the focal point of almost all the activities. The beaches are glorious - white sand and clear turquoise water. 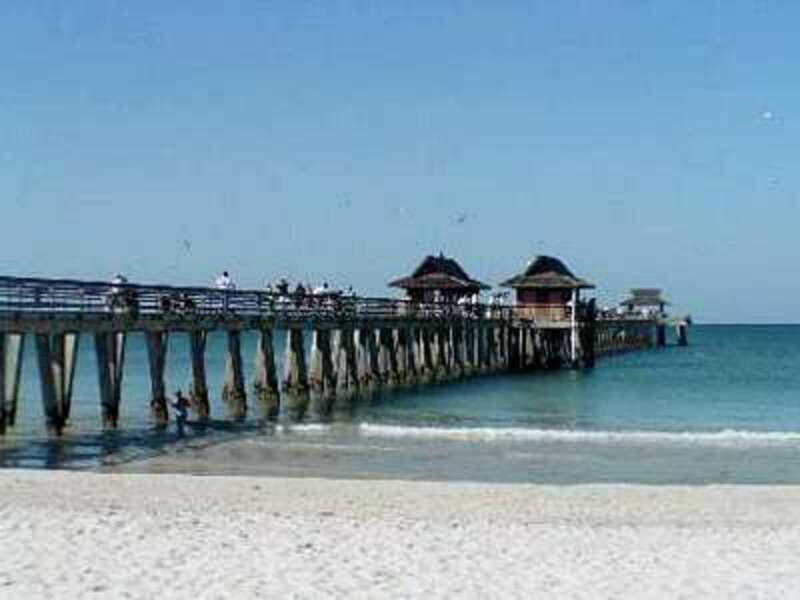 The best beach for families with kids is located at the north end of the island, between the two fishing piers. The narrow strip of sand isn't very wide, but the water is wonderful. Picnic tables, grills, and a play area are adjacent to the beach, and the beach even has a couple of large shade trees. The snorkeling is great here, with fish, big starfish, and large sand dollars. The surf at this beach is usually totally calm, and the beach is seldom crowded. Fishing is also popular on Anna Maria. There are the two fishing piers here, and farther south on Anna Maria is the Bradenton Beach Fishing Pier. It has a restaurant, a snack bar, a bait shop, restrooms, and covered sections. If you need more action and activities, just cross the bridge into Bradenton or the one that goes to Sarasota. Day trips to Orlando and its attractions are also easy. Accommodations on Anna Maria include oceanfront villas, condos, hotels, duplexes, and private vacation home rentals. Prices range from very inexpensive to OUCH! San Diego has several beaches and is loaded with great activities and points of interest for all ages. Some of these are Sea World, historic sites, museums, water parks, amusement parks, LegoLand, nature centers, and the famous San Diego Zoo. Of all the San Diego beaches, the most kid-friendly is La Jolla Shores. While many of California’s beaches have rough surf that’s great for surfing, La Jolla Shores has the calmest surf of any on the area's coastline. The beach is wide and sandy and has a grassy park with play structures that’s perfect for playing and picnicking. Lifeguards watch over the area every day, which should give parents some peace of mind. There's also a designated area just for swimmers, and the Steven Birch Aquarium is only half a mile away. The water here is usually clear and relatively calm. The beach area has a large parking lot, showers, restrooms, and a wide boardwalk. Everything you might need is within walking distance, including snacks, gas, restaurants and rentals for kayaks, scuba equipment, and surf boards. On the beach, fire rings are provided, perfect for roasting hot dogs or making s’mores after a day of swimming. The area enjoys great weather all year, but if you're here in the winter, you’ll have a chance to see Gray whales that come near shore. As for lodging in the area, you’ll find just about every kind of accommodations imaginable. Galveston is only about an hour from Dallas by air or four hours driving, but it’s like a whole different world. It’s a wonderful vacation spot for families. Kids of all ages will love all the attractions, including a sprawling water park, arcades, miniature golf, museums, horseback riding on the beach, and bungee jumping. One of the most amazing is the ten-story zoo. Of course, you might never get around to any of these because tearing yourself away from the 32 miles of beaches won’t be easy. One of the best beaches in Galveston for kids and families is Seashell Beach, located on San Luis Pass Road. This beach features a snack bar, showers, picnic tables, lifeguards, and beach chair and umbrella rentals. The beach is open on the weekends from March-October. From June-Labor Day, the beach is open every day of the week. The Outer Banks is a series of long, narrow islands that stretch 130 miles along the coast of North Carolina. You and the kids can visit museums, view the wild horses, enjoy amusement parks, be amazed at the North Carolina Aquarium, or explore a national wildlife refuge. The whole family can windsurf, fish, play miniature golf, swim, surf, or learn to hang-glide. Most of the beaches on the Atlantic side have rough surf and powerful currents, but the beaches on the Sound side are safer for kids. One of the best kid-friendly beaches is Ocracoke Lifeguarded Beach, named the best beach in the US in 2007. The free ferry will take you to Ocracoke, where you'll find tall dunes, paved parking, changing rooms, outdoor showers, restrooms, wild ponies, sixteen miles of undeveloped beach, and the second-oldest operating lighthouse in the US. Maybe you’ll even catch a glimpse of Blackbeard’s ghost! Make a special memory by riding horses on the beach. Accommodations in the small town include bed and breakfasts, hotels, inns, motels, cottages, suites, lodges, and vacation homes. Cape Cod is a beautiful New England seaside town and offers all kinds of fun for families, including water trampolines, museums, sight-seeing cruises, jet skiing, amusement parks, water parks, fishing, banana boat rides, helicopter rides, bumper boats, batting cages, miniature golf, whale watching, a children’s railroad, nature walks, horseback riding, sailing, and beautiful beaches. One of the best family beaches on Cape Cod is located on Nantucket Sound - Craigville Beach. This wide beach is one of the largest on the cape, and it features soft sand and clean water, usually free of seaweed. Also, there are few rocks here. The water at Craigville is warm and calm from the middle of July until the first part of September. This beach has showers, restrooms, and lots of great shells. Across the street are snack bars. Lifeguards are on duty during the summer. Virginia Beach is a popular resort town that is especially family and kid-friendly. Public drunkenness, profanity, scanty swimsuits, and loud music are not allowed on the beaches.VaBeach, as the locals call it, also provides plenty of entertainment, including lots of museums, hiking, biking, restaurants, boating, historic sites, horseback riding, playgrounds, skate ramps, a huge aquarium, nature trails, miniature golf, and an amusement park. Of all the beaches in the area, the best beach for families is probably Sandbridge Beach. It’s located fifteen miles south of the crowded tourist area, so it’s much quieter and more laid back than the main resort spots. At the south end of five-mile-long Sandbridge is Little Island Park, a large public beach area. It provides lifeguards, bath houses, showers, rest rooms, a playground, covered picnic tables, grills, a basketball court, and lighted tennis courts. There’s also a fishing pier that opens at 5:30 in the morning and stays open until 11 at night. Lodgings at VaBeach include hotels, motels, condos, cabins, cottages, bed and breakfasts, vacation homes, inns, campgrounds, and resorts. Kauai has to be one of the most beautiful places on the globe, with rugged cliffs, rushing waterfalls, green valleys, and pristine beaches. It offers an unforgettable vacation experience for families. Kauai attractions and activities include museums, horseback riding, sugar plantations, aerial tours, historic sites, gardens, hiking, rock climbing, sailing, and nature preserves. The beaches of Kauai are undeveloped and in their natural state. The best family beach on Kauai is Poipu Beach Park. This wide crescent-shaped beach is great for families with kids. There’s a calm, shallow pool in the rocks with lots of brightly colored fish, perfect for very small children. Nearby is a favorite haunt of seals, so you might get to see the marine mammals up close. Sea turtles also frequent the surf here. On the beach, you'll find a lifeguard, restrooms, showers, a playground, and picnic tables. Adults and teens can swim out to the offshore reefs to surf, and everyone can snorkel in the clear water. You can rent boogie boards and snorkel equipment across the street, as well as grab a bite to eat. Accommodations include villas, rental homes, condos, hotels, bed and breakfasts, and five-star resorts. I'd love to go to Bali! Wow... I love your article. Beach is always make people happy. Great list - glad to see a NC beach make it! With so much to do and so many NC beach rentals to choose from, a great family beach vacation isn't hard to find. Horseback riding on the beach is nearly always a family favorite. OMG! -10???? Girlfriend, you need some warm, sunny beach! It's going to be -10 with the wind chill in KC today, Kauai is sounding really good right now! I love the beach, too! And the marshes, the estuaries, the bays, the tidal creeks - you get the picture. Thanks for reading, Tony. habee thx for the shoutout for San Diego ! And I used to live in Virginia Beach many many moons ago. I would really like to visit some of these other ones too . I love the beach , I do not live in San Diego for nothing ! Hi, Russ! You have a lot to catch up on, huh? Hi, Elayne. I'm glad you enjoyed, and thanks for reading! Great hub - glad you included one from Hawaii too. Kauai is very beautiful for sure. Hi, Carol. I meant flight time. Guess I should have been more specific. I'll add drive time. I was referring to the 10-story Rainforest Pyramid at Moody Gardens. It has animals in it. I didn't want to go into the long explanation about describing Moody. Did you know they're adding more animals for 2010? Thanks for reading! There are wonderful pictures and thank you for your wonderful hub. Great list of beaches... a coupla my faves! !